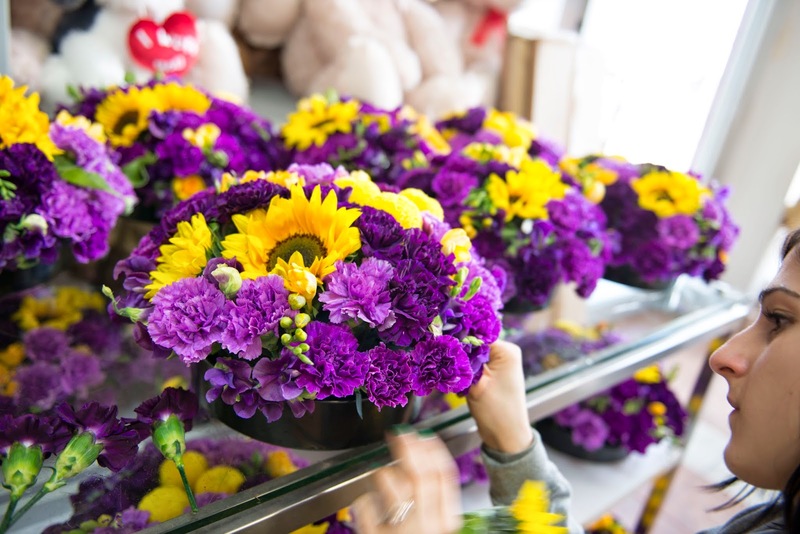 Colour and stlye are the most important factors clients specify when they ask us to do their event flowers. 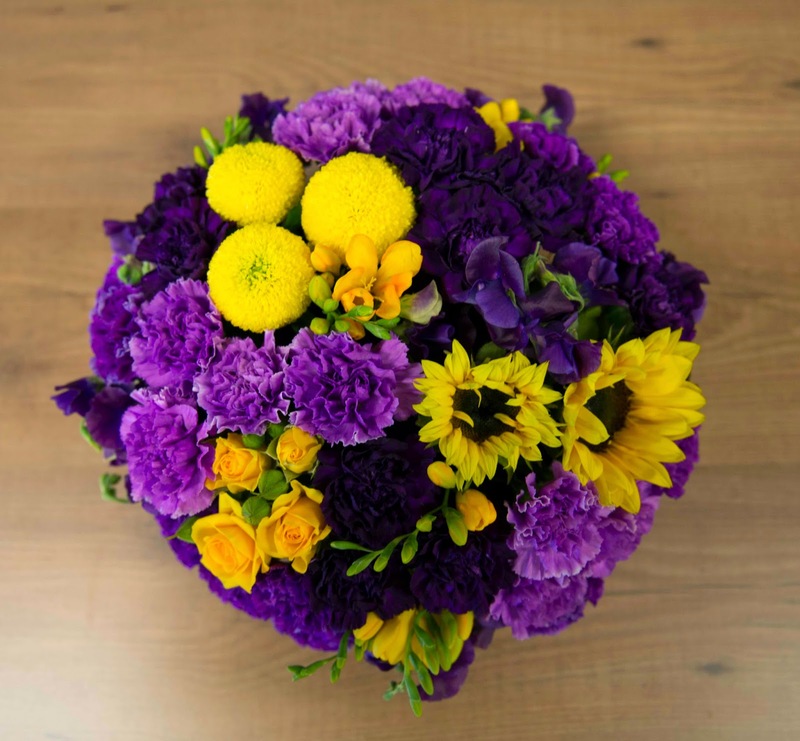 Foodbank Australia has a purple and gold logo and marketing colour combination so we had fun using Pinterest to gather ideas -the purple and gold colour mix isn't that common but it is really quite vibrant with the yellow contrasted with the royal depth of the purple. We made full round table centres as well as reception area flowers. 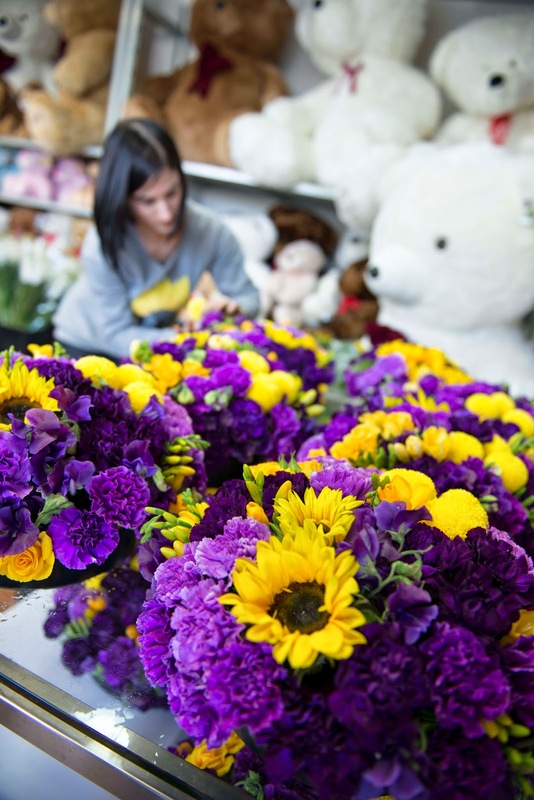 In sourcing purple flowers carnations came up trumps as the unexpected hero as they come in various shades of rich purple. 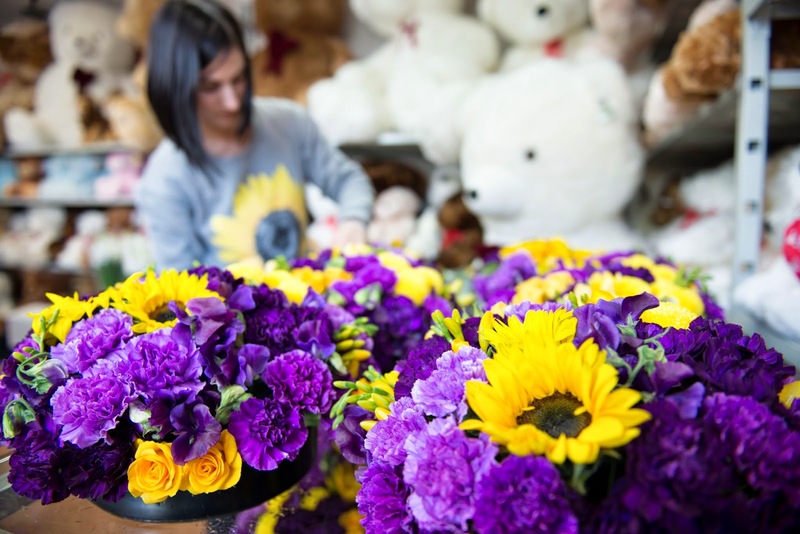 The arrangements featured the carnations in two shades of purple, sunflowers, sweet pea, freesias, roses and bright chrysanthemum ping pong balls. Jules unintentionally wore the right jumper to work! 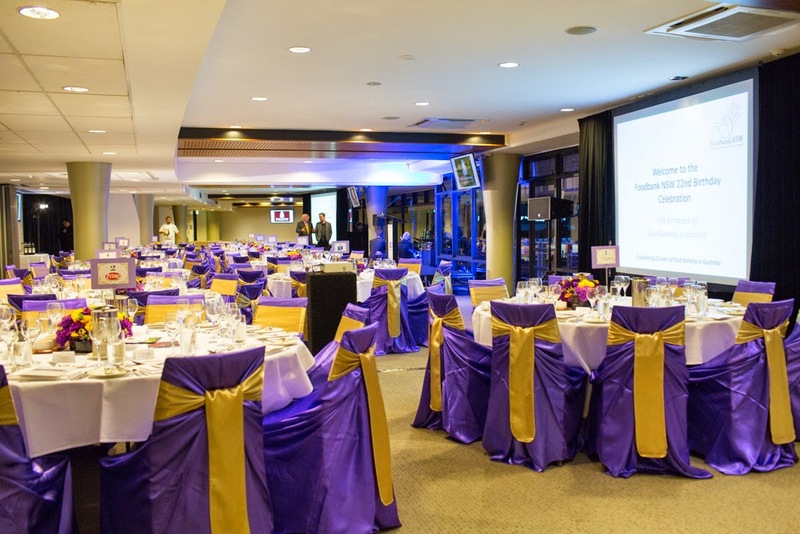 The back of the van was a sea of purple and gold ready for delivery to Sydney Olympic Park. 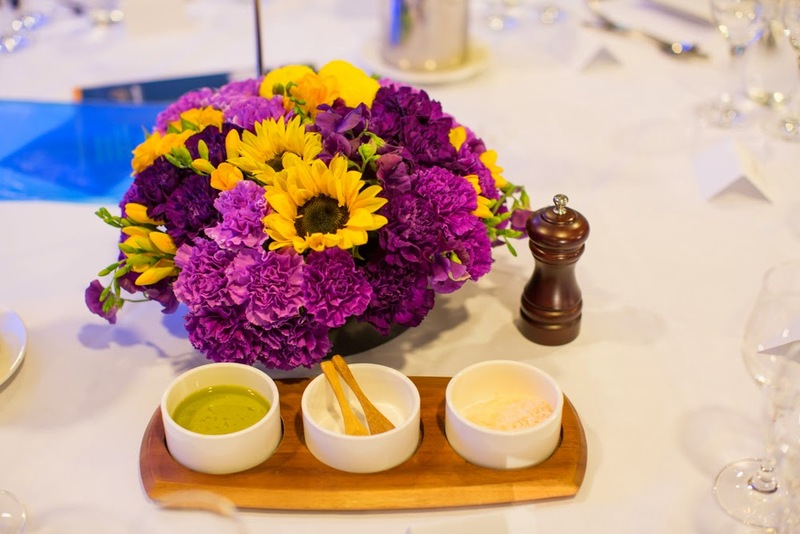 The flowers looked exceptional at the venue, the Playfair Room at Sydney Showground. 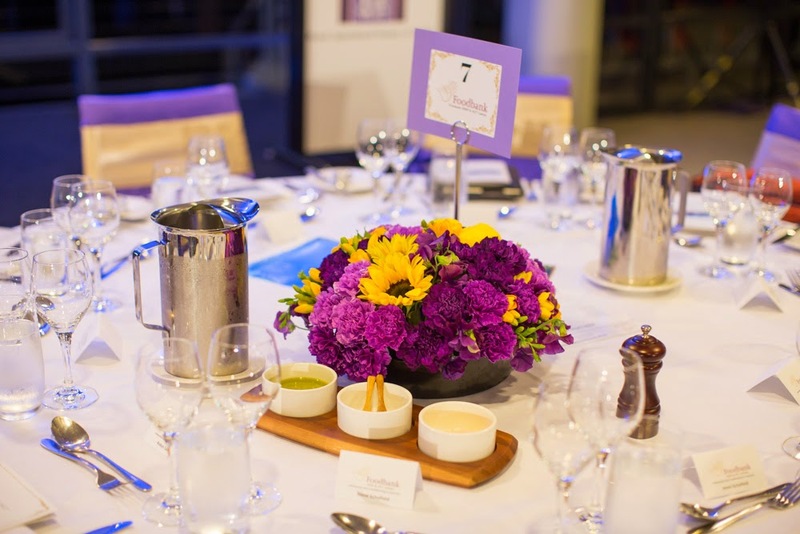 We were proud to work with Foodbank Australia who do amazing work in this country in ensuring no Australian goes hungry - last year alone they provided enough food for 32 million meals! They act as a pantry to charities and community groups who feed the poor channeling food from companies and suppliers in the right direction to help feed those who really need it. 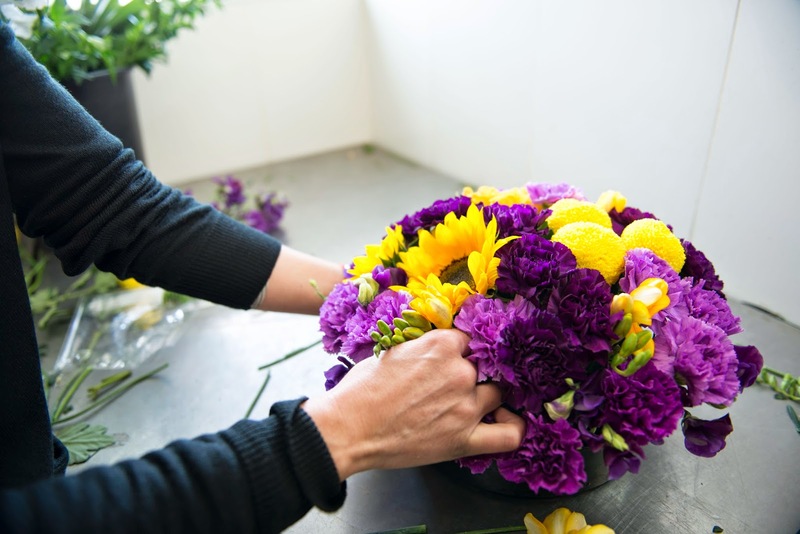 The star of these arrangements has to be the carnations in the two tones of purple, hooray for this underrated cut flower making a comeback!